Reserve a table for a special occasion by selecting a date and time below along with how many people are going. SUAS Outdoor Rooftop Terrace is housed on the first floor of The Reg, Waterford. SUAS Terrace is a distinctive dining, late bar and event space at The Reg that caters for up to 150 people. The pergola (covered structure) transforms our outdoor space at the flick of a switch to a covered, heated and wind protected dining room teamed with panoramic views of Reginald’s Tower, The Viking Triangle and Waterford’s Quays. The pergola allows weather certainty for this beautiful and unique outdoor venue. SUAS Terrace is the perfect spot for a casual drink, food or watching live sports on our outdoor TV. Full bar facilities are available on SUAS Terrace. 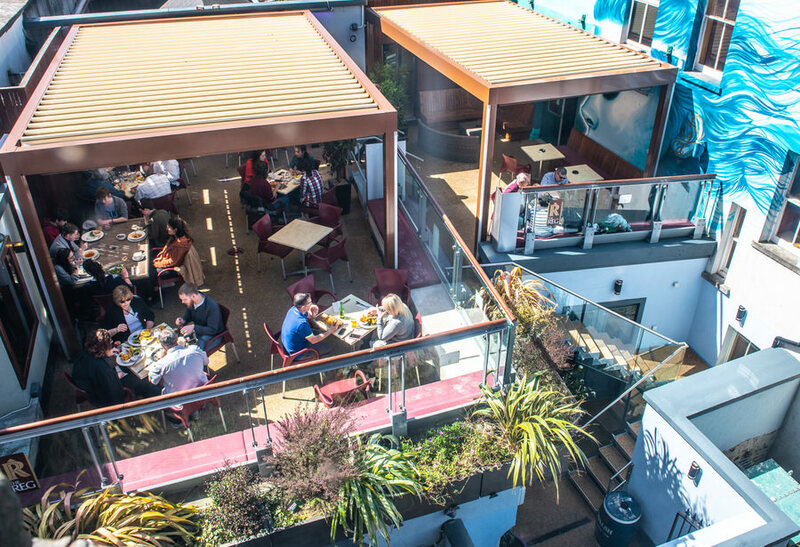 SUAS Terrace caters for parties up 150 people.